Keep up to date on all the new regulatory reforms or tax changes that could impact upon your financial affairs and assets. We regularly produce information briefings, run seminars and newsletter. If you register on our mailing list we promise never to disclose your information to a third party. You can find out how we may use your information here . You can remove your details from our mailing list at any time please remove my details. Then turn immediately left, followed by immediate right. Continue on country road; take turn left 'Demelza', at T junction turn right. As you approach the small hamlet, Higher Demelza is immediately on your right, the entrance is just past wall. Demelza Financial Planning Ltd, trading as Demelza Lifestyle Financial Planners. Registered Company of England & Wales No 4764475. 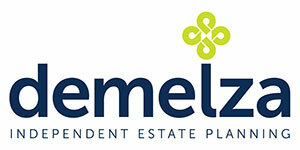 Demelza Financial Planning Ltd is regulated by the Financial Conduct Authority (FCA) and is authorised to give Financial Advice as described under the Financial Services Act (FCA Registration Number 460974).